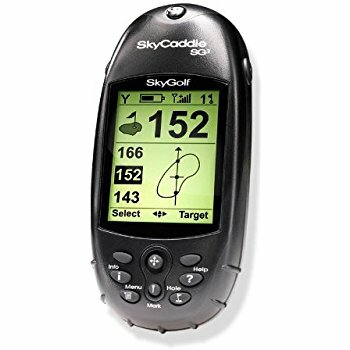 A lot of golf GPS units have been coming out in the past couple of years and one of them is the SkyCaddie SG3, a few years ago this kind of product didn’t even exist. It’s confusing for the regular amateur golfer to have to choose from a lot of models now available in the market, and of course it will be even more confusing for golf beginners and casual game players. A good starting point when considering what to buy is looking at the company that’s behind the product. A product that is made by a company that has a solid reputation in producing quality equipment is a good bet to be a quality product. SkyGolf, maker of SkyCaddie, is a company that’s known to produce quality products. That’s why the SkyCaddie is the Official Rangefinder of the PGA of America and other countries. One of the products in the SkyCaddie line is the SkyCaddie SG3.5V GPS unit, which is SkyCaddie’s lower-end golf GPS model, but has many of the outstanding features of the higher-end models of SkyCaddie like SGX and SG5. For its physical attributes, the SkyCaddie SG3 has unit dimensions of 2.2” x 5” x 0.8” (WxHxD) and weight of 3.8 ounces without batteries, making it the smallest among the three models. Its lightweight and compact size makes it a good fit inside your pocket. Key features of the SkyCaddie SG3 model include Intelligreen Pro, Quick Vue, Hole Vue, ball marking and distance measuring. Using a simple touch of a button, the ball marking feature lets you know how far you hit with every club. These features give critical course information that helps you make better decisions at play, and the Digital Scorecard lets you keep track of your progress. Accuracy of maps and distance information is important in these kind of devices, and the SkyCaddie SG3 provides that with its ground-verified course maps. A SkyCaddie membership plan is required to access to up to 30,000 course maps worldwide. Plan fees range from $29.95 to $129.95 annually. There are those who don’t mind paying for the fees knowing that they’re getting accurate information that’s constantly updated. This SkyCaddie SG3 review wouldn’t be complete without the negitive points of this product like battery life. Manufacturers of different brands have yet to properly address this common concern. Being powerd by 3 AAA batteries, battery life won’t be long. A simple remedy would be to bring rechargeable batteries. The SkyCaddie SG3 has all the necessary features of a golf GPS. Ultimately, it is the player him/herself who decides if this particular model suits his/her style and game, or if he/she prefers one that’s more fancy with more features, or one that’s even more basic than the SkyCaddie SG3.